Electric vehicles on a grand scale are no longer a distant pipe dream, and Tesla (TSLA - Get Report) is no longer the lone wolf in the hunt for market dominance. But recent calls to action from major world powers, including China, the United Kingdom and France, have highlighted a growing concern among U.S. automobile industry watchers: Will U.S. automakers be able to rapidly expand their electric vehicle offerings over the coming years while simultaneously serving a U.S. market in which demand for SUVs and trucks continues to build? "Can they do it? Yes, I'd say they probably won't have a major issue doing it," Jessica Caldwell, executive director of industry analysis for car research firm Edmunds, said in an interview with TheStreet. "U.S. automakers have their hands in a lot of different arenas. They are invested in a ton of different electrification and autonomous technologies. That said, they may have to address current production issues." 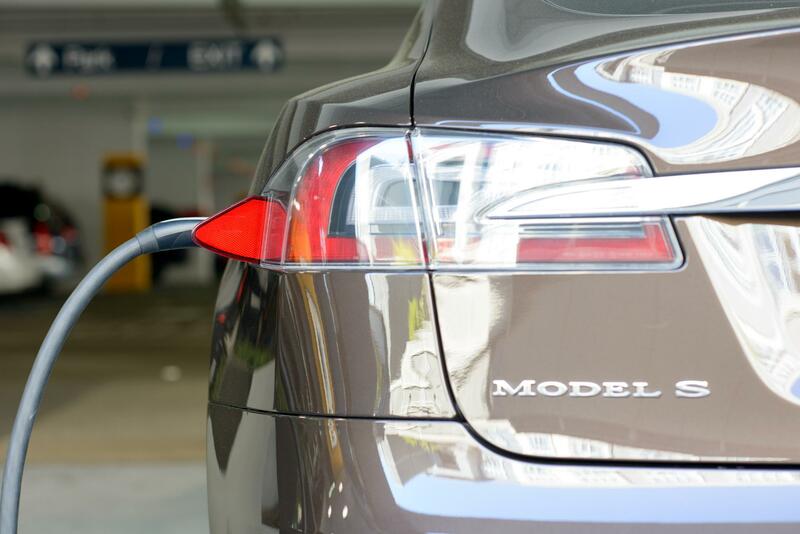 Tesla is no stranger to electric vehicle production issues, with industry onlookers frequently doubting the ability of the carmaker, which pumped out 83,922 vehicles in all of 2016, to produce 500,000 Model 3s in 2018. And despite a number of more traditional car companies following in the tech behemoth's footsteps, including GM (GM - Get Report) , Nissan (NSANY and BMW (BMWYY , electric vehicles still represent just 0.5% of the U.S. car sales market. That means automakers might not know what to do with these vehicles once they do massively expand production. Global markets could be part of the solution, but industry followers, including Caldwell, have some doubts about the extent to which places like China will play a role. "What matters most is the price point," Caldwell explained. "The Chinese market does really well on the high end, expensive show-type vehicles. But the largest part of the market is affordable utility, and it is not matching in the U.S. average transaction price." In August, GM announced it reached a record number of vehicle sales in China with 328,425 automobiles. In recent years, car sales research firms have placed the average vehicle transaction price around $20,000 in China. The average U.S. vehicle transaction price is almost $35,000 per car, and some electric vehicle models are priced roughly in line with that. 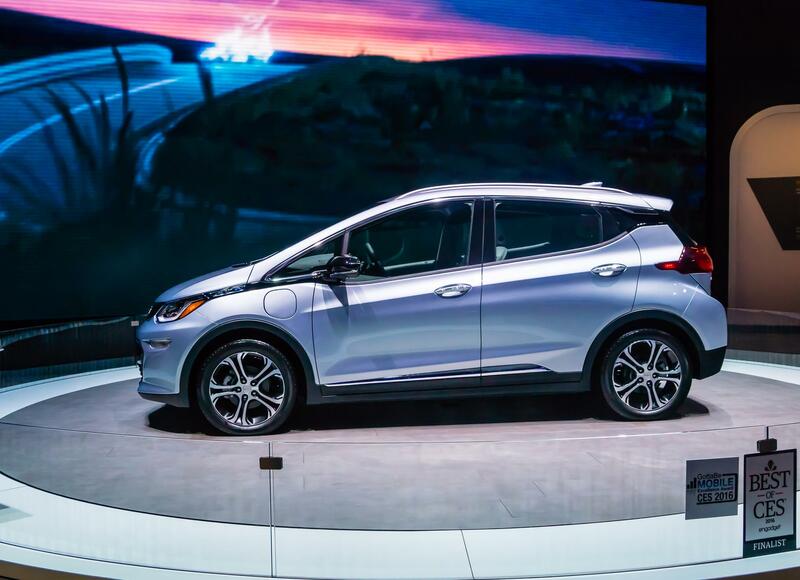 GM's newest U.S electric model, the Chevrolet Bolt, has an MSRP of around $37,000. TheStreet is fresh off a review of the nimble Bolt. But as GM and other automakers work to bring the price of their electric vehicles closer to what the average Chinese consumer is paying, they may face some new hurdles, including the possible elimination of gas and diesel-fueled vehicles altogether. Tesla gets ready for the future of electric cars. China, the world's largest automotive market, recently revealed that it has begun studying when to ban the production and sale of cars using fossil fuels, according to a report from an official Chinese news website Xinhua. China could look to the United Kingdom and France for an example -- both countries said new gasoline and diesel car sales will be banned after 2040. If the largest automotive market in the world goes completely electric, U.S. automakers, which already have their hands full dealing with the effects of electric vehicles and disruptive technologies on the home front, will surely stand to lose out on a major source of income. GM recorded U.S. deliveries of 275,552 vehicles in August, about 50,000 less vehicles than it sold in China in the same month. That's almost $9 billion worth of vehicle transactions at $32,000 apiece -- the average MSRP of a foreign brand car in China in 2014. "Clearly, our performance in China is very important to the company," GM spokesman Dan Flores said in an email statement to TheStreet. "We sell more vehicles in China than we do in the U.S."
Indeed, GM delivered more than 3.8 million vehicles in China throughout all of 2016, versus its total U.S. deliveries of 3.04 million automobiles for the year. The company is not under the assumption it can ignore the driving forces behind electric vehicle usage, including China. "GM believes the future of personal mobility will be driven by the convergence of electrification, autonomous vehicles, and connectivity and shared mobility services," GM CEO Mary Barra said at a Sept. 15 event in Shanghai. "China is playing a key role in the company's strategy." In fact, GM already sells a variety of electric vehicles in China today. And between 2016 and 2020, GM will roll out at least 10 so-called new energy vehicles in China, according to Barra's Sept. 15 statement. That number includes the Cadillac CT6 Plug-In, the Buick Velite 5 extended-range electric vehicle and the Baojun E100 electric vehicle, rolled out in China in December, April and July, respectively. The Cadillac CT6 Plug-in and the Buick Velite 5 have MSRPs of 558,800 yuan ($84,692) and 265,000 yuan ($40,285), respectively. The Baojun E100, a compact two-door vehicle similar in style to Mercedes Benz Group's Smart Fortwo with a range of 155 kilometers (96 miles), is priced at 35,800 yuan ($5,425) after national and local subsidies, according to GM's website. "Like the U.S., China is a key market for GM's electrification solutions," Barra said. "By 2025, nearly all models from GM's global brands in China - Buick, Cadillac and Chevrolet - will offer electrification technology." GM's Chinese joint venture, SAIC-GM, will even go so far as to open a new battery assembly plant in Shanghai this year to support the company's growing electric vehicle fleet. But what's the point of offering if no one is buying? Electric vehicle sales are not really that strong yet in China, which is in some ways still an emerging market that has yet to see a peak level of traditional vehicle sales in many cities, according to Edmunds' Caldwell. And headaches can often grow for companies when governments begin to weigh in. "The problem arises when government starts mandating what companies can and can't make," she explained. "The U.S. government wants us to buy electric vehicles and we haven't. So what does a company that's in business for profit do when government has mandated this? It becomes a push-pull type of thing, and ultimately consumers are spending money on vehicles, so automakers have to pander to what they want." To be sure, GM is not the only U.S. company preparing itself for the bleak reality that the markets for gasoline and diesel engines may be limited in the not-so-distant future. Ford (F - Get Report) has announced a three-year partnership with Indian auto maker Mahindra & Mahindra Ltd. to explore potential areas of collaboration on new technologies and retail sales. Those areas could include co-developing electric vehicles, as well as collaborating on new mobility ventures and connected-car services. Ford's move closely follows GM's exit from India, the world's fifth largest auto market. But will the potential future profits be enough to justify the substantial investment today for the likes of Ford, GM and Fiat Chrysler (FCAU - Get Report) ? After all, U.S. Department of Energy data shows gasoline prices are about as cheap now as they were in 1929 when accounting for inflation, and there is no shortage of money to be made on gas-guzzling SUVs and trucks. In 2014, trucks and SUVs represented 50% of the U.S. market, but the vehicles closed 2016 at 63% of total sales. Fossil fuel production is becoming increasingly cheaper, and average U.S. gasoline prices are holding to their cheapest levels in decades. Add in the positive effects natural disasters like Hurricane Harvey and Hurricane Irma seem to have on truck sales in the U.S., and it's no wonder why industry analysts don't anticipate that trend to meaningfully diminish in the near term. "We thought back in 2008 and 2009, in the depths of recession, the world was moving in this direction [of the small electric car]," Caldwell said. "The [Toyota (TM - Get Report) ] Prius was picking up steam, and we thought this is going to be the new theme. But it's turned out to be pretty much the exact opposite. Now we're all buying SUVs, and electric vehicles represent less than 0.5% of the U.S. market." And no automaker, not even Tesla, has figured out how to make an affordable large electric SUV or pickup truck. As demonstrated at the Frankfurt Auto Show, German automakers have begun to explore the concept of electric luxury crossovers, but those aren't exactly built with the average consumer in mind. Luckily for automakers, it's unlikely the U.S. passes such a drastic measure as banning gas-powered cars in the near future, if ever. Lawmakers may prefer to continue using incentives, such as the current $7500 federal tax credit, to push consumers into squeezing into that five-feet tall, six-feet wide compact Chevy Bolt. As for China, only time will tell how strictly their government will hold automakers to the pledge of electrification over the years. It remains to be seen what kind of timeline the country will roll out, if any. There are certainly obstacles that would make U.S. automakers wary of substantive investment in China's electric vehicle market. For one, U.S. companies may not appreciate the idea of sharing the entirety of their electric and autonomous vehicle intellectual property with the Chinese joint venture partner they are required to have in order to avoid a massive tariff for producing and selling vehicles in the country. "Cars haven't changed much over past 50 years. Sure, there have been improvements, but they are relatively small to what we'll see in next 10 years with electrification and autonomous driving," Caldwell opined. "GM and American car companies might be a little hesitant to do business with Chinese companies considering this." Caldwell added, "So I think that the timeline for China is probably the most important. It makes this whole thing a bit tenuous." For the Detroit Big 3, tenuous, but likely far from irrelevant.